The “Classics” are often held up by readers as being some of the best books ever written. And with good reason, as many of these have been read and beloved by generations of Western book lovers. However, here at Book Riot we came up with one way in which many of these books could be improved: more queer storylines. LGBT+ plots and characters are disproportionately absent from the Western Canon. Centuries of persecution has led to few works in which LGBT+ themes are even hinted at. Here are a selection of the classics that we would like to see queered versions of; some of which may well be an improvement on the original. Little Women by Louisa May Alcott: The plot is exactly the same, with the exception that Theodore “Laurie” Laurence is actually a girl, named Theodora. 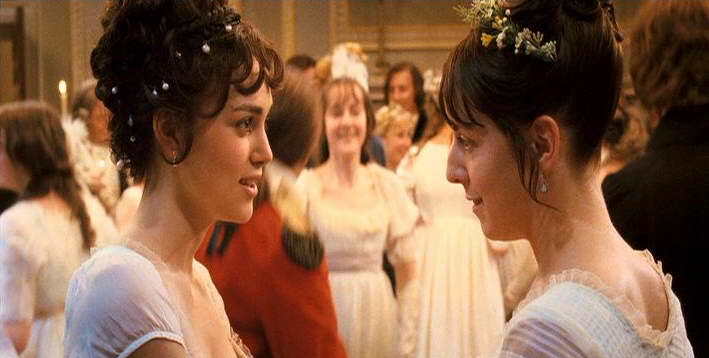 Pride and Prejudice by Jane Austen: Elizabeth Bennet and Charlotte Lucas get together near the beginning of the novel. There are two possible outcomes here. Either Mrs. Bennet is so surprised by this turn of events that she “becomes insensible” and forgets about finding husbands for her other daughters and the rest of the novel never happens. Alternatively having one daughter not end up with a man, and so losing the security that entails, causes Mrs Bennet to redouble her efforts in the husband hunting area. Jane Eyre by Charlotte Brontë: The story goes on as the original until Jane and Bertha meet. They fall in love, and Jane rescues Bertha from her attic prison. They run from Mr. Rochester together, perhaps opening a quiet and loving orphanage or boarding school, on the Yorkshire moors, and living happily ever after. Those are two women who definitely deserve that happily ever after. A Tale of Two Cities by Charles Dickens: Madame Therese Defarge is leading the lesbian feminist revolution. The making of political handicrafts is heavily involved. Les Miserables by Victor Hugo: Jean Valjean and Javert are long-estranged lovers. 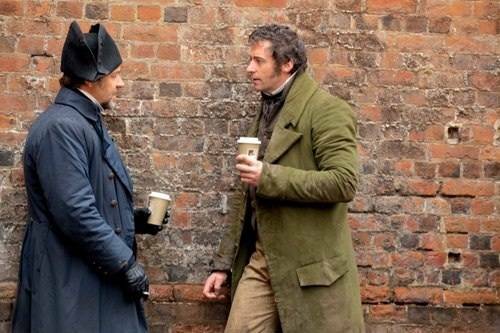 Javert is stalking Valjean not to have him arrested but in the hope of continuing their relationship. Valjean feels differently about this and so is keen not to be found. All of Ernest Hemingway’s novels: The plots are the same but all the male characters are replaced with women. Aloof, beautiful, alcoholic, early 20th Century women. Thank You, Jeeves by P.G. Wodehouse: The Jeeves stories are all exactly the same except Jeeves and Wooster fall in love and begin a relationship (which nobody notices because they spent all their time together anyway). 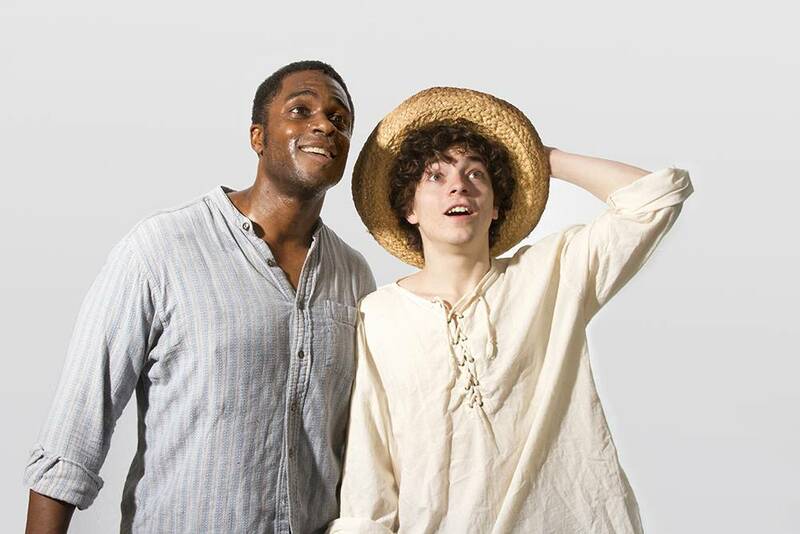 Adventures of Huckleberry Finn by Mark Twain: Whilst they are running off together Huck and Jim fall in love. Which isn’t all that different to what actually happens. A sequel to The Merry Wives of Windsor by William Shakespeare: The end of The Merry Wives of Windsor sees two men marrying each other after a diversion involving one man pretending to be the other’s bride goes too far. The sequel sees them enjoying 16th Century married life together. Or rather, not enjoying it. Any of William Shakespeare’s comedies: Rather than the plays simply joking with and about gender, and traditionally having all male actors for both male and female parts, the characters are instead actually transgender.